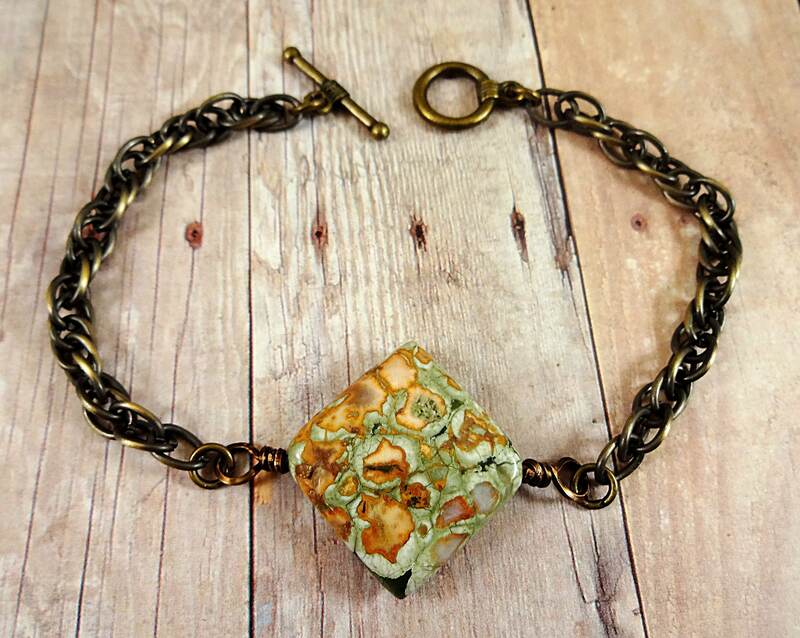 A single wire-wrapped stone bead connected to large link antique brass chain. Simple but makes a bold statement. Bohemian Vintage! 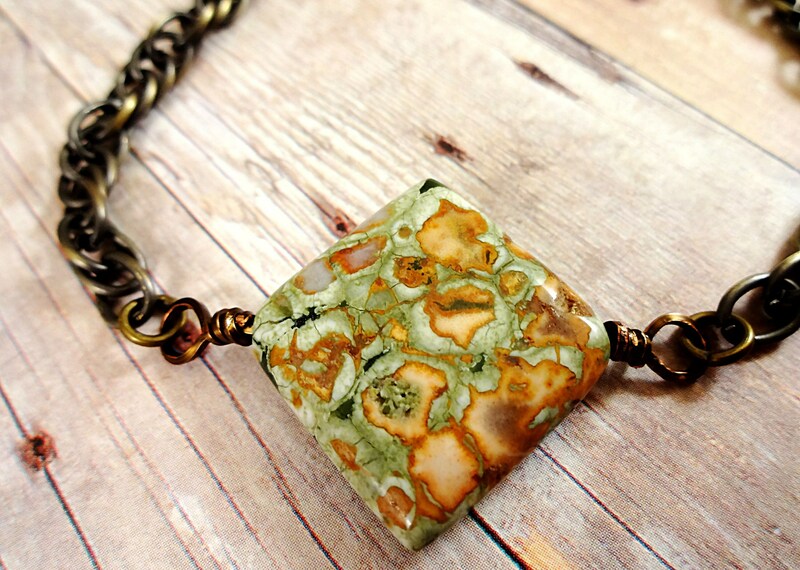 The stone is a gorgeous green and orange Ryolite, otherwise known as Rainforest Jasper. 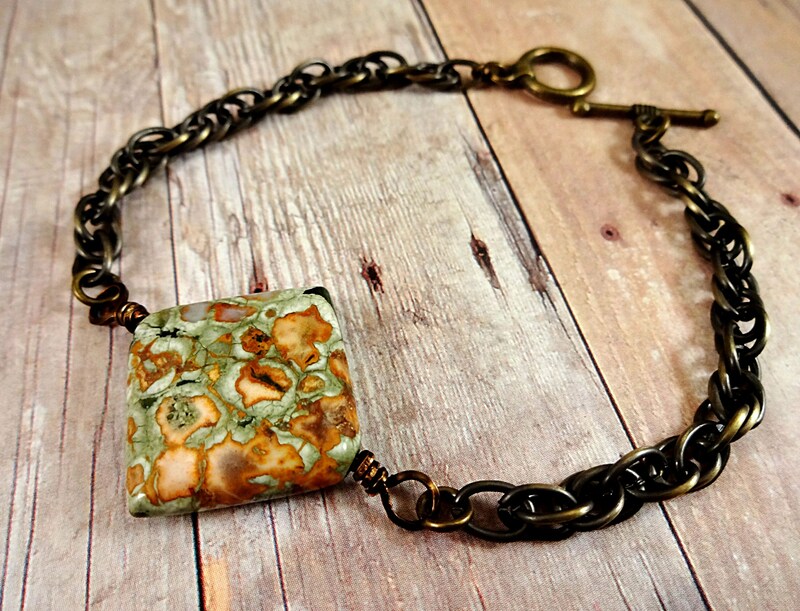 The closure is an antique gold Toggle Clasp. The bracelet will fit a size 6-3/4 to 7-1/4 inch wrist.